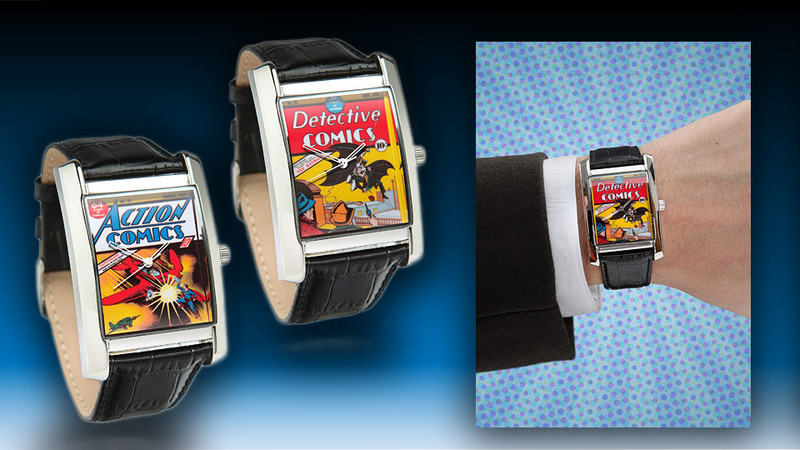 ThinkGeek is offering these amazing watches displaying artwork from the early years of DC comic books. Choose from either Detective Comics#27 from May 1939, the first appearance of Batman in The Case of the Chemical Syndicate or Action Comics #10 from March 1939, an early appearance of Superman. We think you can’t go wrong either way.